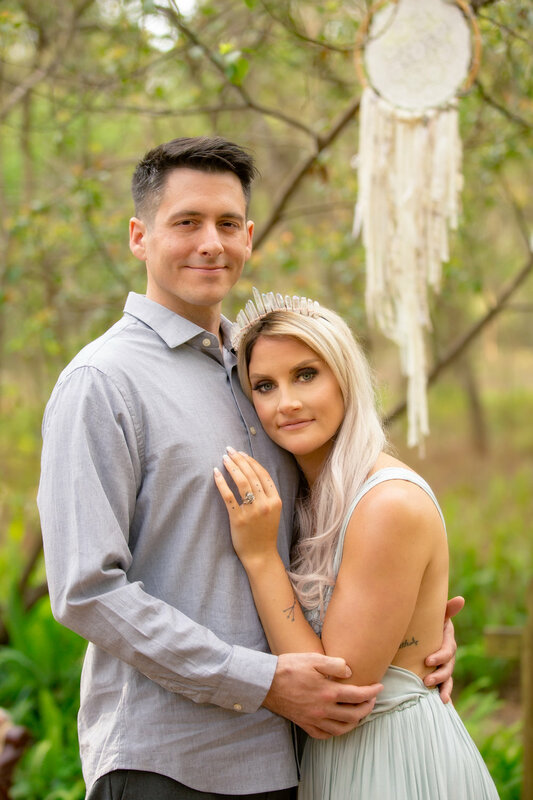 A dreamy session involving the love of two souls, crystals, prisms, nature, and a whole lot of love. You ever get that feeling when you first meet someone and you just instantly vibe off of each other that it's going to be the start of something beautiful? Yep, that's kind of how I felt with these two. 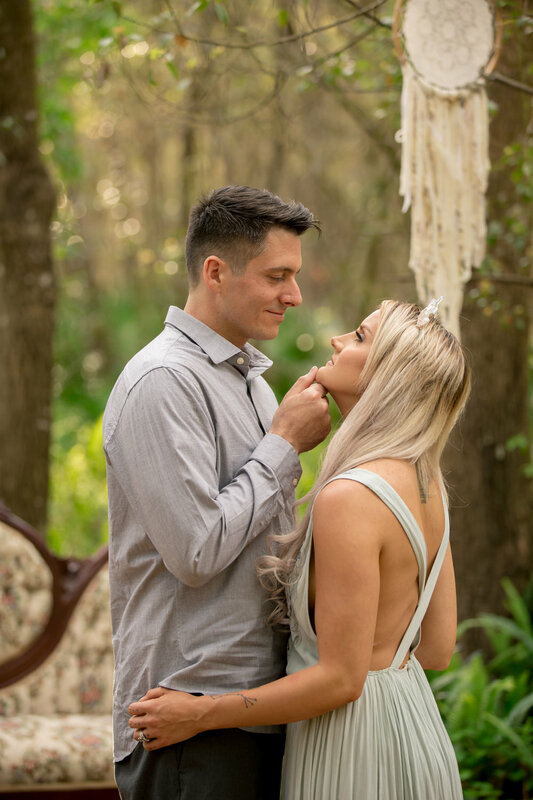 Just months ago when I initially met Malorie and her mom at my favorite local watering hole, (Trilogy Coffee), we sat and talked about their BIG day. I knew right then and there that I just had to be a part of capturing these two souls. 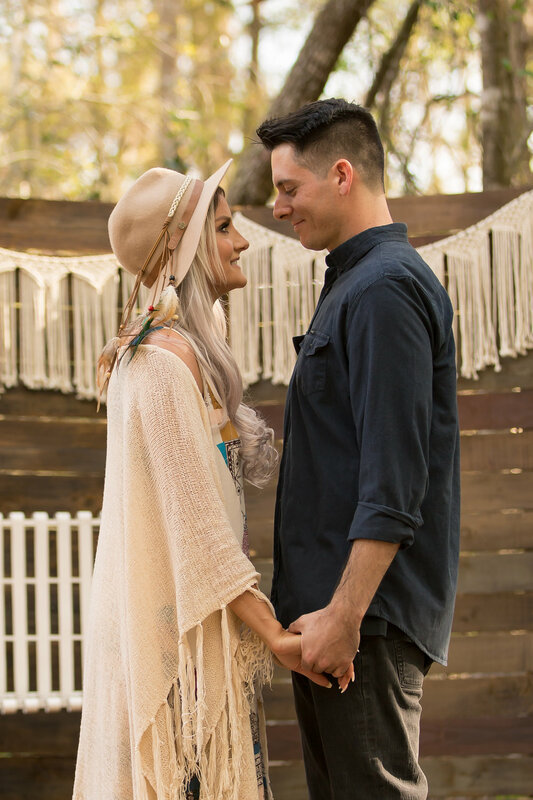 Malorie and Anthony's style is the elements of nature to the T. Malorie plans to incorporate herbs in her wedding. Fresh thyme, rosemary, and other soft yet fragrant greens. 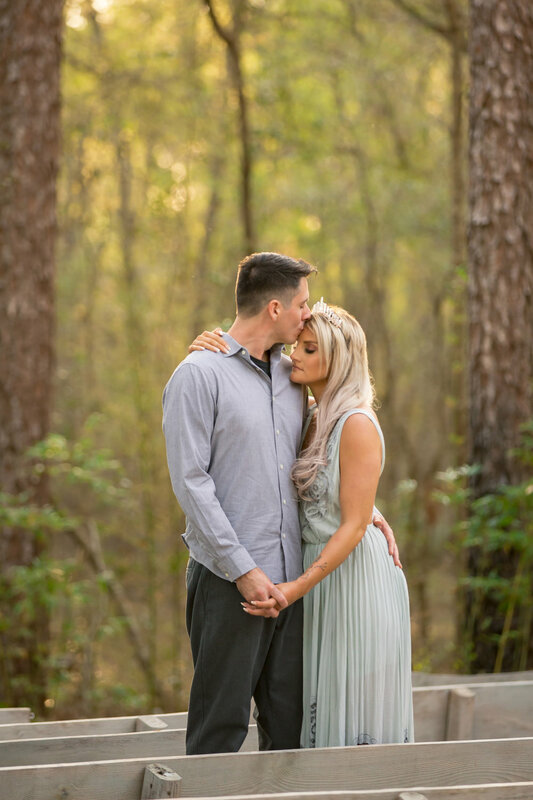 However, during our engagement session the theme was MYSTICAL. I brought out my one-year-old dream catchers. Not sure if y'all remember, but it has been just been over a year since I brought these babies out for my Alice in Wonderland stylized shoot. Of course they just melted so well together with Ashley's floral victorian sofa from Heart Wood Events. 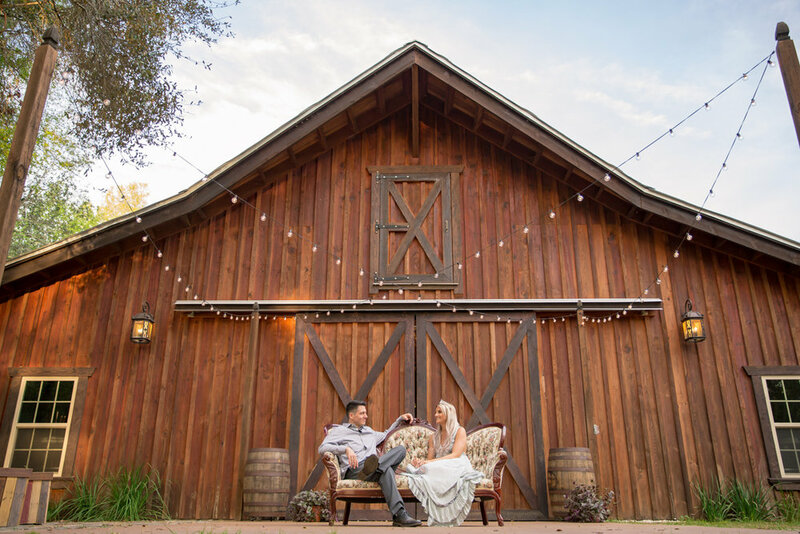 Bridle Oaks Barn turned into a fairy land this day! Stay tuned for the real magic happening March 2, 2019! Dreamcatchers: Alice's Art Gallery, Inc.